For years Scorpion has been a leader in providing motorcyclists with high-value gear that comes in at price point that won’t break the bank. They focus on features that matter and they are able to deliver, consistently, quality motorcycle gear that will not require a significant hit to your personal net worth. 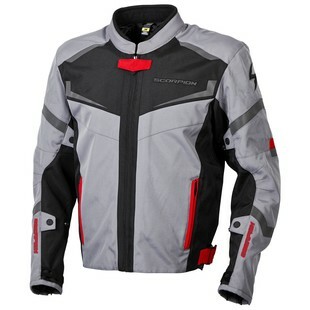 The new Scorpion Influx Jacket is a great example of Scorpion doing what Scorpion does best. 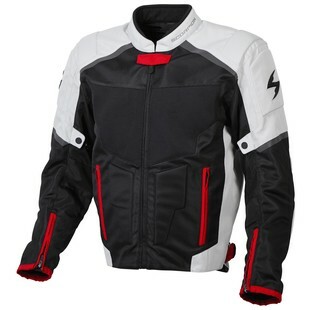 As a summer motorcycle jacket that is lightweight, well-ventilated, and ready to stand up to the rigors of the road, the Influx is the quintessential textile/mesh motorcycle jacket. In combining two types of ventilated poly mesh fabrics with 600 denier reinforcements in high-impact zones, the Influx Jacket pays special attention to the line between airflow and protection, while also providing features such as CE-certified armor at the elbows and shoulders, ample adjustability, and a removable full-sleeve AirGuard windproof liner. Taking a slight step up from the Influx in price, the Scorpion Phalanx Jacket is a well-armored, highly durable, gritty motorcycle jacket that is ready to live up to the name. Less summer-focused than the Influx, the new Scorpion Phalanx Jacket replaces the large mesh panels with a complete 600 Denier outer shell that is also backed by CE-certified SAS-Tec armor at the elbows and shoulders. Additionally, the Scorpion Phalanx Jacket makes use of a removable EverHeat thermal liner vest, zippered vents for controllable airflow, and KwikWick II moisture management. Quality gear that won’t break the bank. Scorpion does it better than just about anyone in the world. When looking at jackets such as the Influx and the Phalanx from the Fall 2016 lineup, it isn’t hard to see why that is the case.